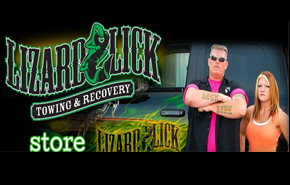 Lizard Lick Towing & Recovery is a locally owned and operated towing company located in Lizard Lick, NC just outside of Raleigh. LLTR provides unauthorized towaways for merchants and other organizations. 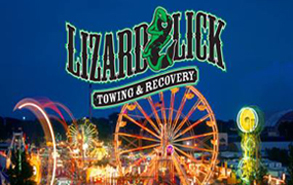 LLTR provides general towing services and roadside assistance. LLTR also purchases salvage, wrecked, burned and junked vehicles. 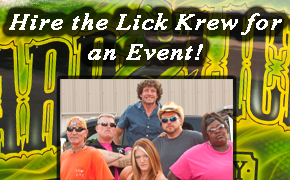 What do ya wanna hire the lick for? The only way you can see shadows is to look down or back. If you focus ahead and push onward the view will always be bright, and at times blinding. Every day is a roll of the dice, and some days you come up snake eyes, but still do the best you can do and just let the rough end drag. Today is new. Tomorrow is unknown. Yesterday is done. So you can live, plan or dwell, but your choice determines your destiny. Choose wisely.